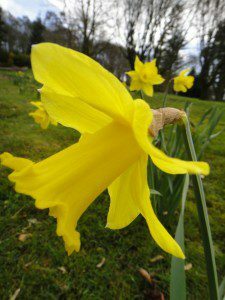 Stop by the National Trust for Scotland’s Threave Garden in Dumfries and Galloway soon to see one of Scotland’s best daffodil displays. The south-west garden boasts over 200 cultivars of daffodil to see, many of which were planted by Major Gordon in the early 20th century (from 1925 to 1957). 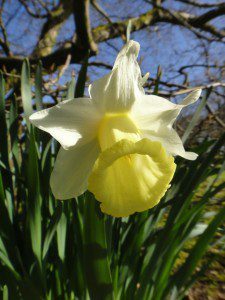 The star of the stunning daffodil bank are the thousands of Narcissus ‘Southern Gem’, which was first recorded pre-1913 and is now rare. 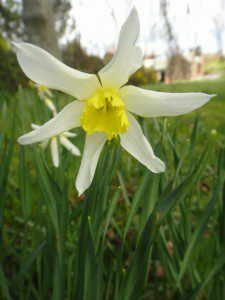 Many other species are planted throughout the woodland areas, beds and lawns. 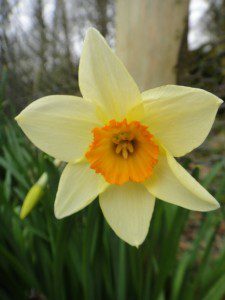 There are miniatures, tall daffodils, all sorts of colour combinations, single-flowered, double-flowered, multi-headed cultivars flowering from February through to May. 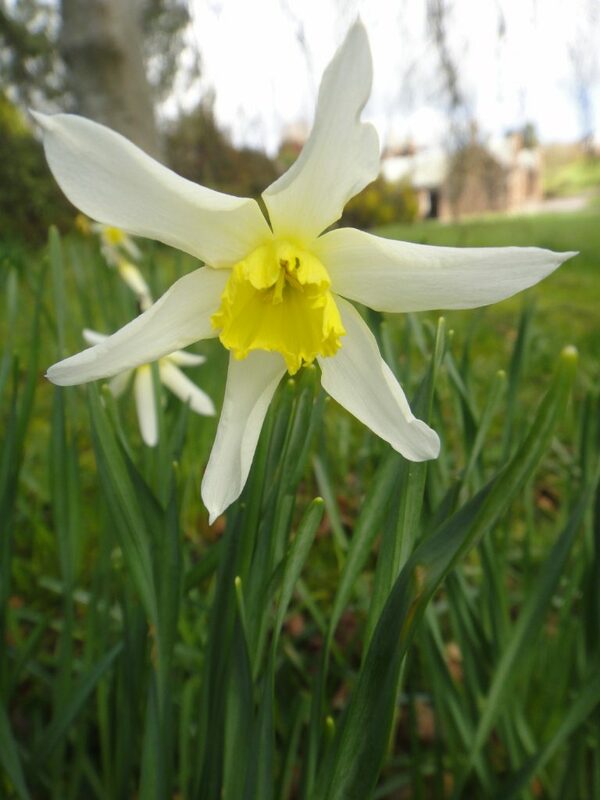 The Garden Trail includes daffodils in the main beds within the garden. The Arboretum trail takes in the daffodils planted towards the top of the garden in the arboretum area and the Kelton Wood Trail takes you into the woods right at the top of the garden. 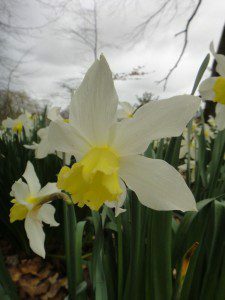 All three trails show labelled daffodils, with the emphasis on heritage cultivars many of them planted by Major Gordon before the National Trust for Scotland took over the property and garden. Some of the more recent introductions are also included in the trails. Visitors can collect a trail leaflet from the visitor centre for each of the trails, which includes a map for them to follow, along with a photograph of each cultivar. Narcissus ‘Albatross’ is a beautiful mid-season daffodil, with clear white perianth segments and a pale-lemon bowl-shaped corona. 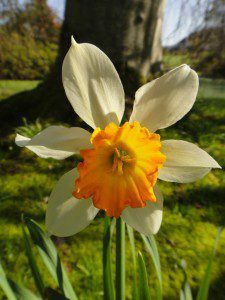 It was first recorded pre-1891 and was first planted at Threave in 1927. It can be found along the path in the Kelton Wood Trail. 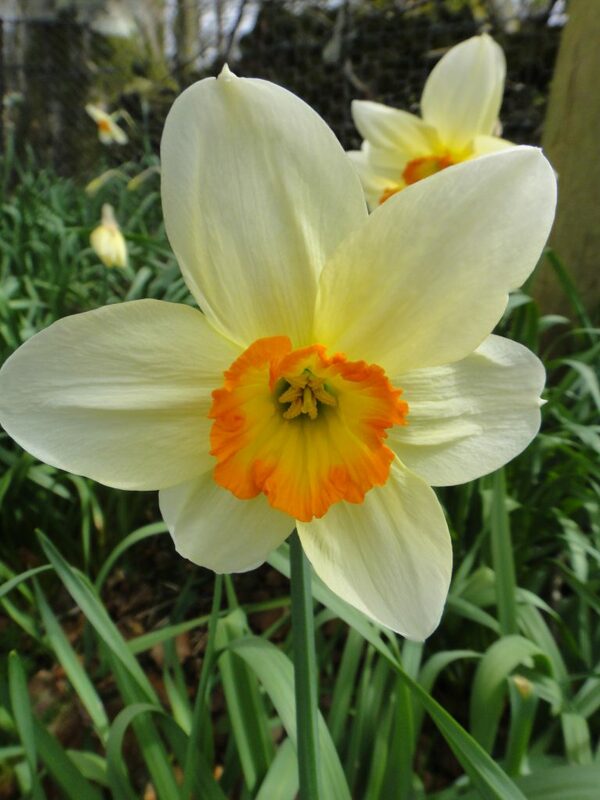 Narcissus ‘Croesus’ has light-yellow perianth segments with a shallow, deeply-ribbed orange corona. It’s year of first flowering was recorded pre-1912 and it was first planted at Threave in 1935. It can be found in both the Kelton Wood and the Arboretum Trails. Narcissus ‘King Alfred’ has a striking yellow flower. The perianth segments are somewhat twisted and vivid yellow. The corona is a slightly deeper yellow than the perianth, with a widely-flanged rim. It’s year of first flowering was recorded pre-1899 and it was first planted at Threave in1931. 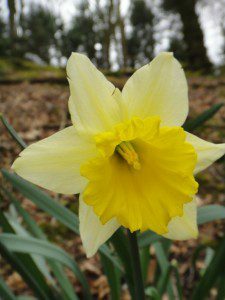 N. ‘King Alfred’ can be found in both the Kelton Wood and the Arboretum Trails. Narcissus ‘Mrs Ernst H Krelage’ is a creamy-white flower of great substance, the corona opens a creamy yellow and is widely rolled. First flowering recorded pre-1912 and the first 100 were planted at Threave in 1935 with a further 50 planted in 1933. It can be found beneath a Parrotia persica in the Garden Trail. 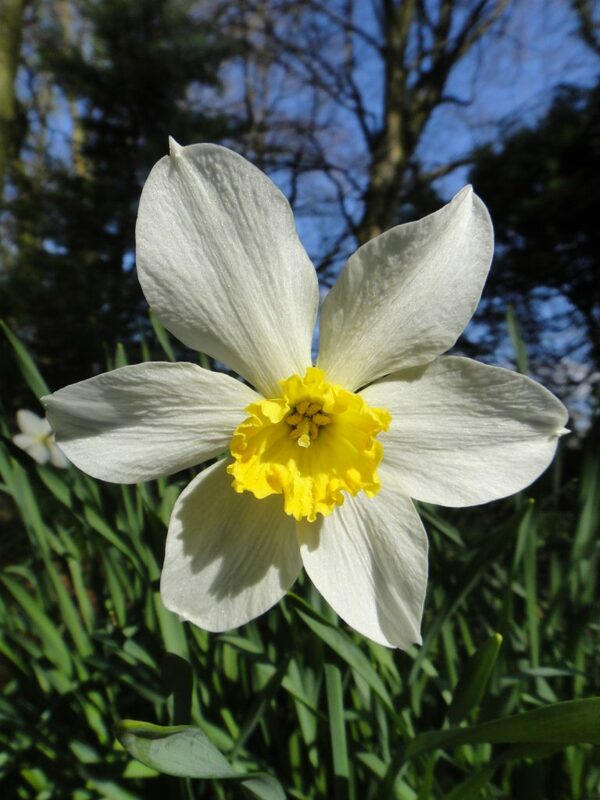 Narcissus ‘Mrs Langtry’ has a star-shaped flower with white ovate perianth segments and a short funnel-shaped, ribbed and yellowish white corona which is canary yellow at the rim. Her first flowering was recorded pre-1869 and planted here pre-1960. 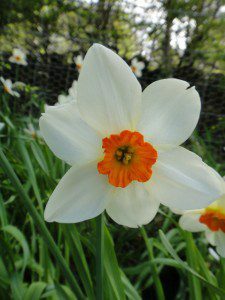 N. ‘Mrs Langtry’ can be found in the Garden Trail. Narcissus ‘Will Scarlett’ has a bowl-shaped, ribbed corona of bright orange with creamy-white perianth segments. N. ‘Will Scarlett’ was bred by Rev G H Engleheart in 1898 and planted here pre-1960. N. ‘Will Scarlet’ can be found next to N. ‘Mrs Langtry’ in the Garden Trail. Next articleCASTLE DOUGLAS HIGH SCHOOL WINS OVERALL BUSINESS AWARD FOR YOUNG ENTERPRISE.